Making your dollar stretch is more important now than ever. Get the most out of your money by stretching meals with these tips for leftovers. Use DVO�s �dovetailing tips� to plan for and use leftovers for other meals. These simple tips require you to look ahead to the week�s menu, but save major time because you only have to handle certain foods once for multiple meals. Be sure to follow safe food storage practices. Take advantage of any leftovers that are still useable. When freezing leftovers make sure to write the date and contents on the package. Keep leftover items toward the front of the refrigerator. When they get shoved to the back they often get forgotten and wasted. Send extras home with guests if they are items you will not use that cannot be frozen well. Your family is more likely to eat leftovers if they aren�t the exact same thing reheated. Mix things up with a few basic ingredients so they are a little different. To use up leftover egg yolks, poach them until firm, then cool them and put them through a sieve. They are good for salads and soup garnishes. Warm up rice with milk, cinnamon, and raisins for a warm treat. Use the liquid from canned vegetables in soups, sauces, stews and casseroles, and for making white sauce for creamed vegetables. Use celery tops to flavor meats, stews, soups and stuffings. Leftover veggies from a relish tray? Eat them raw, slice them into salads, or use them in a delicious soup or omelet. If you're making fudge and the batch doesn't harden, crumble it up, refrigerate the pieces, and use them in cookies or cakes. Don't throw away end pieces of cheese. Grate them and freeze them in an airtight bag. You can use them in recipes calling for melted cheese, such as veal parmigiana or quiche. Try leftover meats in a chef's salad, beef stew, skillet hash, fajitas or for a sandwich filling (chopped or sliced). Leftover chicken? Make chicken pot pies, chicken fajitas or chicken salad, or quesadillas. Leftover turkey? Lucky you! Be sure to remove any stuffing from the carcass and refrigerate turkey and stuffing separately. Use leftover turkey for tetrazzini, turkey divan, croquettes, or just those wonderful turkey sandwiches we all love! Add leftover sausage meat to plain pancake batter, or combine it with leftover mashed potatoes; form the mixture into patties and brown it in a frying pan. 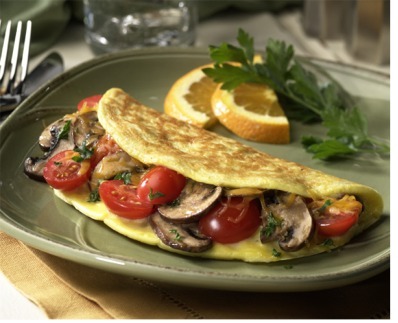 Omelets, quesadillas, fajitas, and salads are great �catch all� menu items! To extend a little meat into a meal, combine any leftover meat with rice, macaroni or spaghetti noodles. Freeze leftover breads and rolls to use for homemade croutons or stuffing at a later date. Save meat drippings; de-fat and store them in the refrigerator. Use them for frying, saut�ing and making gravy. First, your refrigerator cold enough, set at slightly less than 40 degrees Fahrenheit. 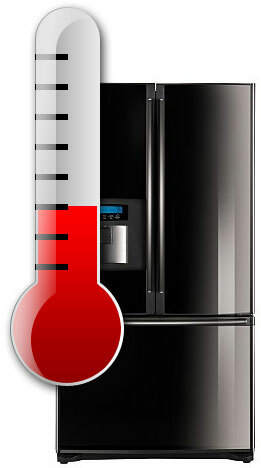 The danger zone for bacterial growth is from 40 to 140 degrees Fahrenheit, so remember to set your refrigerator lower than this. Keep the fridge well organized! Label foods with date and contents and place items where they will be easily seen until used. If possible set one shelf aside for leftovers. Then they won�t get tucked behind things and forgotten. Store foods in shallow containers that are two inches deep or less. Food stored in a deeper container takes longer to cool off and therefore invites bacteria to grow. Divide food into smaller portions to store. Freeze whatever you don�t think you will eat again within three days. Leftover foods, from your own kitchen or a restaurant, should be stored in the refrigerator within two hours from the time they were originally served. If the weather is hot (above 90 degrees Fahrenheit) it is best to refrigerate your leftovers within an hour of cooking. Most leftover foods should be consumed within three to four days. Gravies and sauces should be eaten no more than two days after they were first prepared. If you store uncooked meat in your refrigerator, use it within two days of having been thawed or purchased. 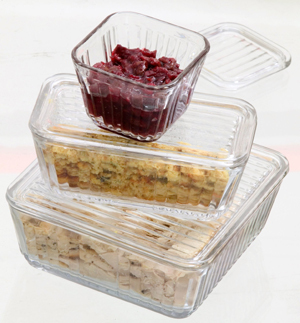 Store leftovers in sturdy, air tight containers. When reheating your leftovers, make sure they are heated thoroughly to a temperature of at least 165 degrees Fahrenheit, which is determined most easily by a meat thermometer. There is no doubt that using leftovers will save you time and money! Following these tips will help you stretch those valuable resources and keep your family smiling at the same time!